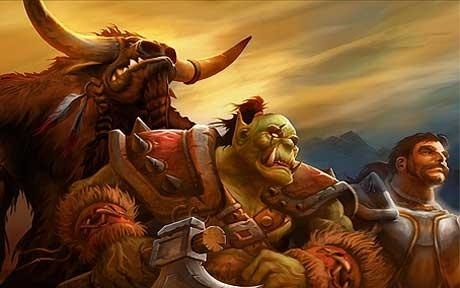 A London psychiatrist plans to provide online therapy for young people who spend too much time playing World of Warcraft. Dr. Richard Graham, a consultant psychiatrist at the Tavistock Centre in London, says that some players neglect their social lives and education, playing for 16 hours per day. So what avatars will they use? I don't know very much about WoW, but I find myself wondering how a therapist would go about using typical psychotherapeutic techniques while in the game. Dr. Graham has proposed recruiting existing players to act as "peer mentors" for other users. In a real office, the therapist needs to work with the displayed persona of the client to find out the deeper problems. How will therapists get past the displayed avatar to get at the reasons why the actual player is so involved in the game? I know that there are a lot of parents who are concerned about the time that young people spend on WoW, and there are a lot of young people who see WoW as an important part of their lives. At least 12 million players participate every month; there are a lot of young lives at stake. I've been cudgeling my brain for an sfnal predecessor to this idea, and I'm coming up blank. Readers?